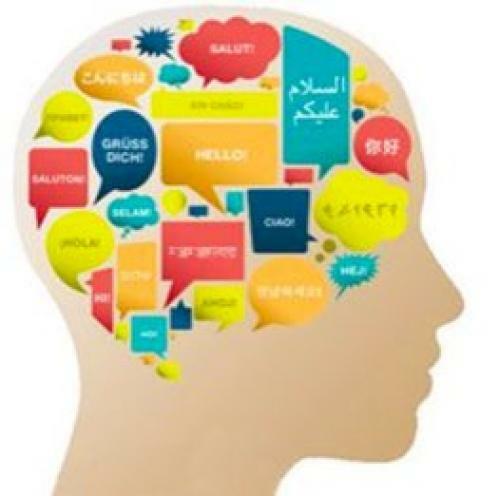 Studies have proven that speaking two or more languages not only aid in cognitive development, but also makes smarter and decisive individuals. But are you struggling in your new found enthusiasm to learn a new language? A few basic tricks can ease the whole process and even make learning a new language fun! Whatever be your reason to learn a new language the act itself can be challenging for many beginners. Learning anything new even a language requires a lot of hard work, patience and practise. The following tips might just make it simpler for you to learn new languages quickly and a linguist in no time. 1) Commitment: It's crucial that you give your full attention and commitment to your new agenda so that you don't give it up mid-way. Have a strong reason and stay passionate - this is the mantra to learn a new language. 2) Converse: The best way to learn a new language fast is by conversing with someone who's better at it than you. You can learn to implement freshly learnt words into sentences only through a dialogue. Practising through conversation even at the beginner level can be more effective than learning the words from a flash card. 3) Language Buddy: Find another learner who could be a family member or a friend. A buddy or a partner doesn't only helps in the much needed pull and push; but also motivates and inspires you to learn fast. The much needed conversation becomes natural and part of the learning process. You are learning together and faster! 5) Monologues: Start thinking in the new language. Thoughts translate into words and words into sentences. Think of a topic - it could be anything like your job, your friends or even your neighbour and talk about it to yourself i.e., inside your mind. The more you practise, the more you think! These fake conversations in your mind will make you better equipped to talk about them in real time scenarios. 6) Make learning Fun: To Learn new Languages quickly it is important to enjoy the process. Having fun while learning can make the entire exercise seem less dull and rigorous. You can enact a play in the new language or attend events which encourage such participation. Don't just make it a classroom exercise, give it a personal touch and make the experience enjoyable. 7) Watch and Listen: Language is as much about movement of our mouth and other external physical facia as it's mental. So, it's imperative that you keenly watch the lip and mouth movements for the right pronunciation. Watching and listening the new language helps in familiarisation. Read foreign language newspapers, watch a television show, a foreign film or even a play or an event along with your daily classes. 8) Take Technological Help: There are various apps on mobile phones which allow you to download dictionaries and translators. With apps available for iOS and Android, you can have an access to a pocket dictionary to help you out in sticky situations. Take audio and video classes, learn through flash cards, play quiz - they are great tools for learning basis vocabulary. 10) Practise makes you Perfect: All your learning tools will be ineffective if you don't practise daily. Imbibe it in your daily activities while talking, singing, sending mails, or even while ordering your favourite pizza! Its only when you submerge yourself in the world of the new language that it becomes as easy as your native language. Whether it's two or nine languages you want to learn and understand the tips to make the exercise less daunting remain the same. In today's scenario studies, employment, marriage or travel can make you step out of your native geographical and socio cultural comfort zone. Learning a new language can go a long way in discovering new cultures and developing long term friendships with new people. Learn new languages quickly with AlterGyan at http://www.altergyan.com. We provide apps for 17+ languages with 1200+ most commonly used phrases across 33 categories and fun features such as Flash cards, Quiz and recording functionality that make learning fun. We aim to be the Rosetta stone for those attempting to start speaking in a new tongue.